SmokeShield has two densities of smoke fluid available “Medium and Heavy” which caters for any training scenario. The Trainer Cleaning Fluid Ensure your investment in the Trainer Unit is kept in top condition. Fire Trainer fluids were specially developed over a two year program with the aid of the Danish Civil Aviation, Air Force and Fire Departments which has created Unique fluid within the industry providing the realism required. This fluid, with its unprecedented hang time, is ONLY available with our Units. Fire Trainer fluid is effective and economical, thanks to its incredibly long “hang time” 30 to 40 minutes, dependant on environment. Our fluid is harmless, safe and leaves no residue. 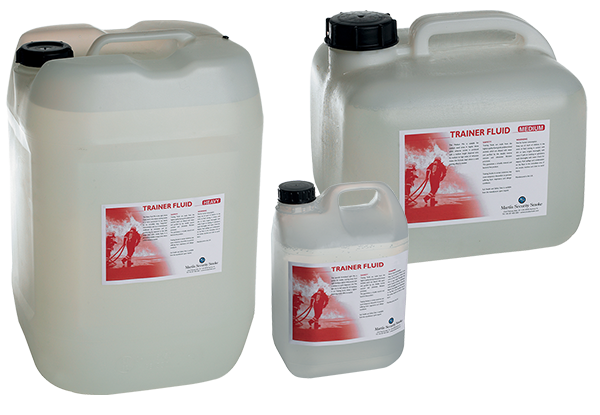 Fire trainer fluids are environmentally friendly and water based. 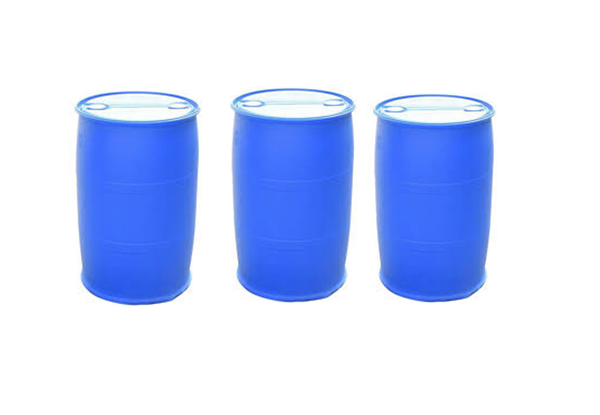 They are made from the highest quality food grade poly functional alcohols which are diluted with water and purified by double reverse osmosis and an ultraviolet filtration process. This guarantees a virtually mineral and bacteria free product. 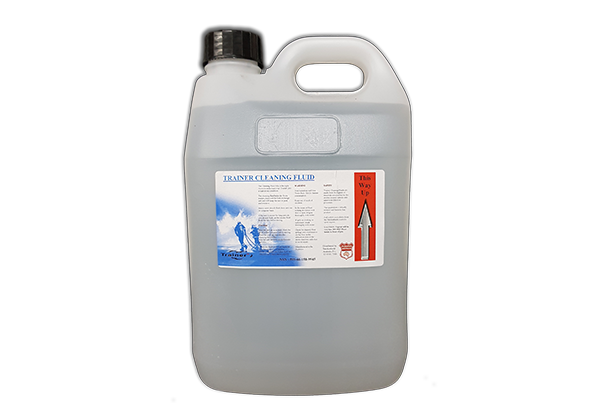 Sizes Avaliable – 2.5ltr, 9.5ltr, 20ltr and 220ltr drums For more details in our training smoke – fog generating fluids please follow the following links.